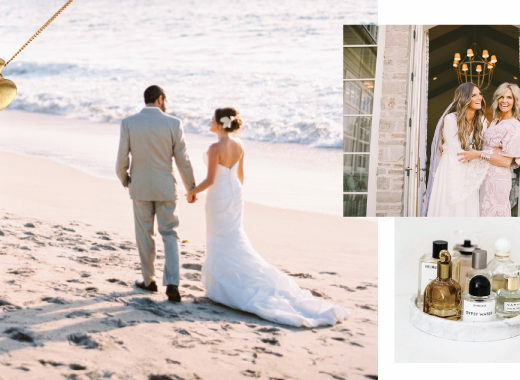 Destination weddings trends always vary from season to season, and we’ve rounded up our favorites so far! 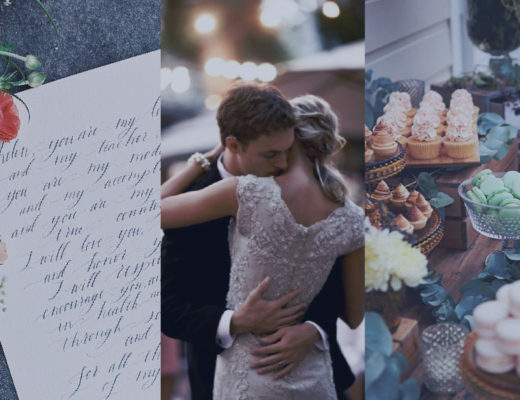 Whether you’re looking for a classic look or a bohemian vibe, these are sure to fit into any wedding vision you’ll have. Take a look at the spring destination wedding trends of 2018 below! 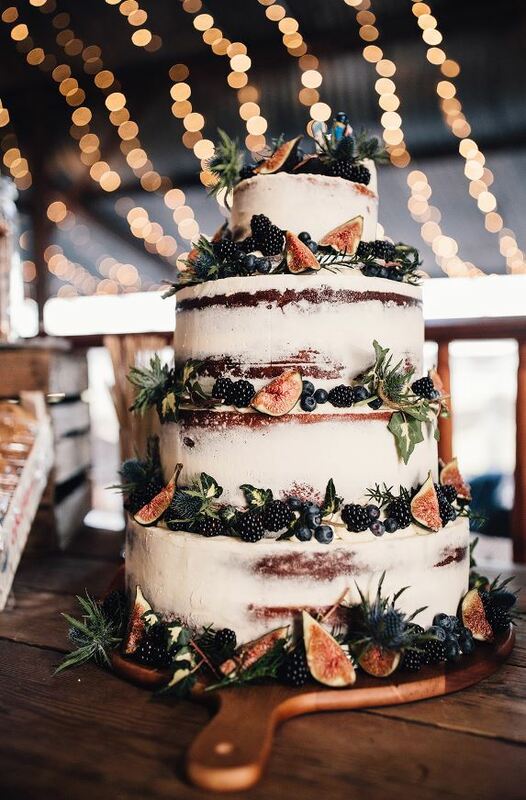 This year, one of the top flavor trends will be to choose a fig-flavored cake. Figs will provide a unique tart flavor, which all people will enjoy. It is also a nice color that is a deep purple and will fit with any spring wedding décor. Most destination weddings that take place in warm locations will see grooms wearing a lighter color suit and likely will not include any ties. This can create a light and bright atmosphere that goes perfectly with a wedding abroad. 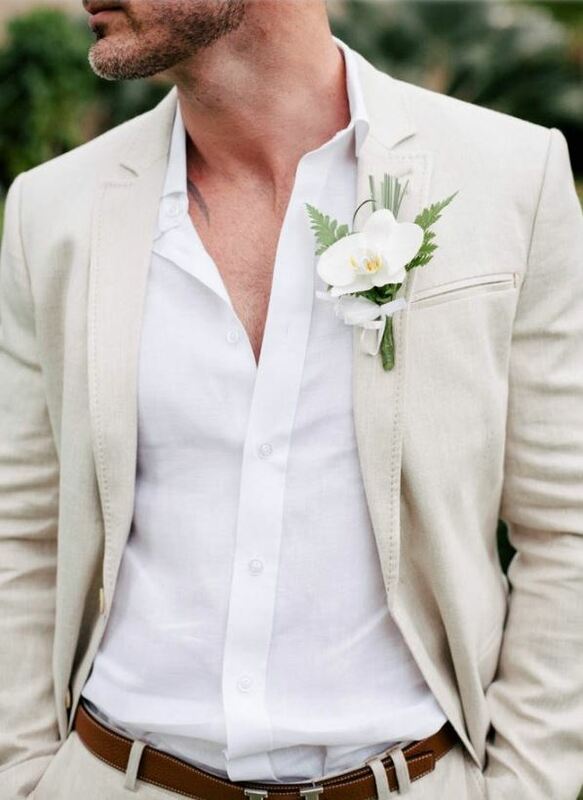 Similar to grooms, brides will also be more casual this year. One of the aspects you could switch to more casual setting is hairstyling! Brides and bridesmaids this year are leaning towards having messy updos, which will match the fun and casual environment of the whole wedding. Many party planners this year are also looking to create a more fun setting when it comes to dining. 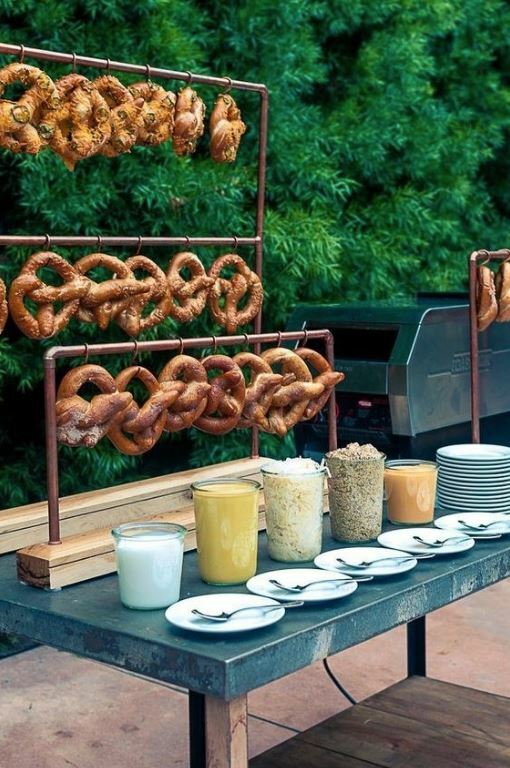 Who could say no to a food bar? Set up anything you would like, from traditional wedding dishes or even local cuisine at your destination! 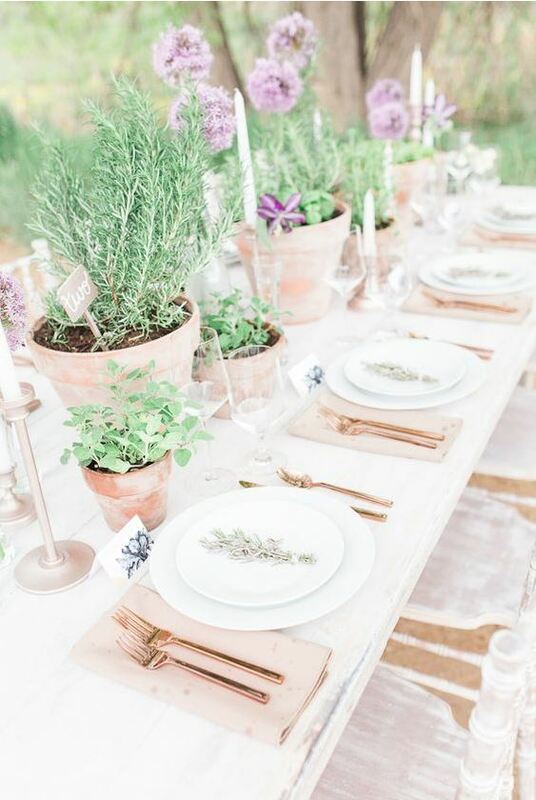 Another big part of any wedding décor will be the potted plants. 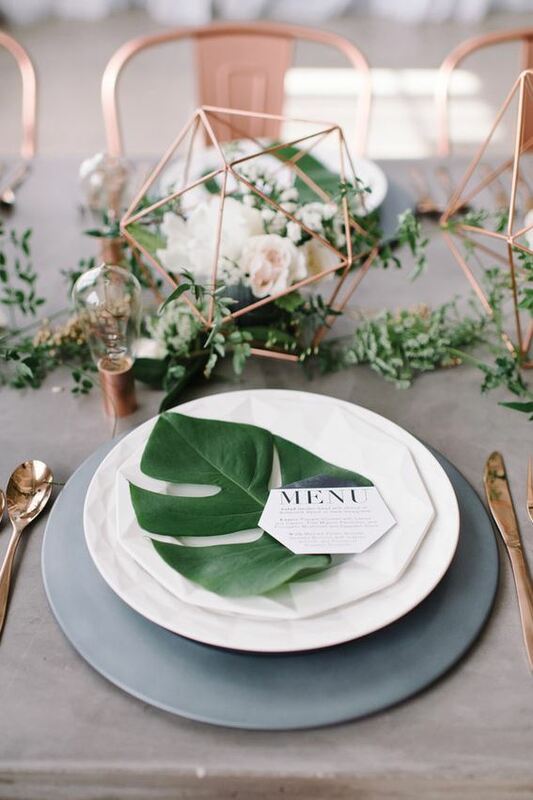 When looking for wedding inspiration for decorations, party planners, brides, and grooms will look towards local plants to be a focal point of any décor. Who could resist this amenity? 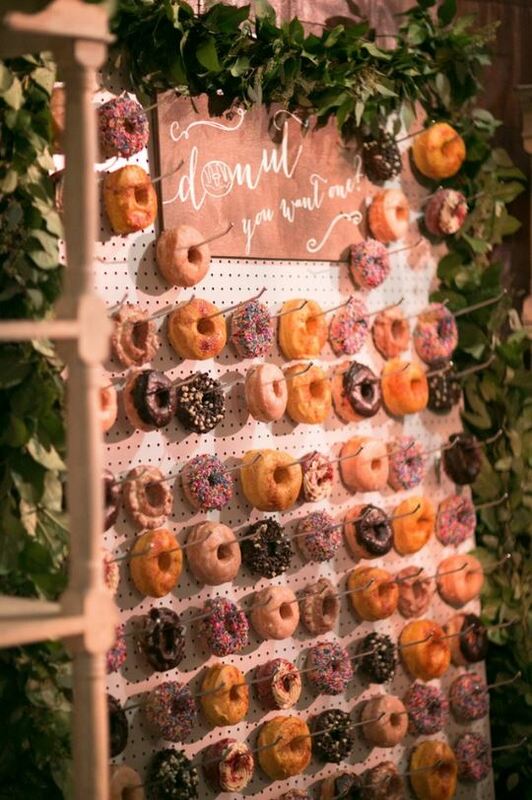 A doughnut wall gives off a “down-to-earth” vibe and creates a space where guests can come together and gawk. This is something to be talked about for years to come! In 2018, we love a strong copper accent. This will include having copper colored plant pots, dishes and silverware, and picture frames. This will give any wedding a fresh and modern vibe. Even though these trends may only last for so long, their look is simply impeccable. Use any (or all!) for your wedding and it will surely be one for the books! 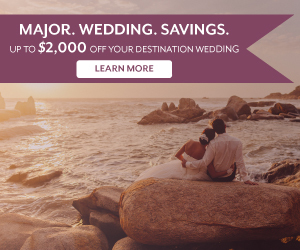 Ready to start planning your destination wedding, or need some destination wedding inspiration? Check out our website or Pinterest!